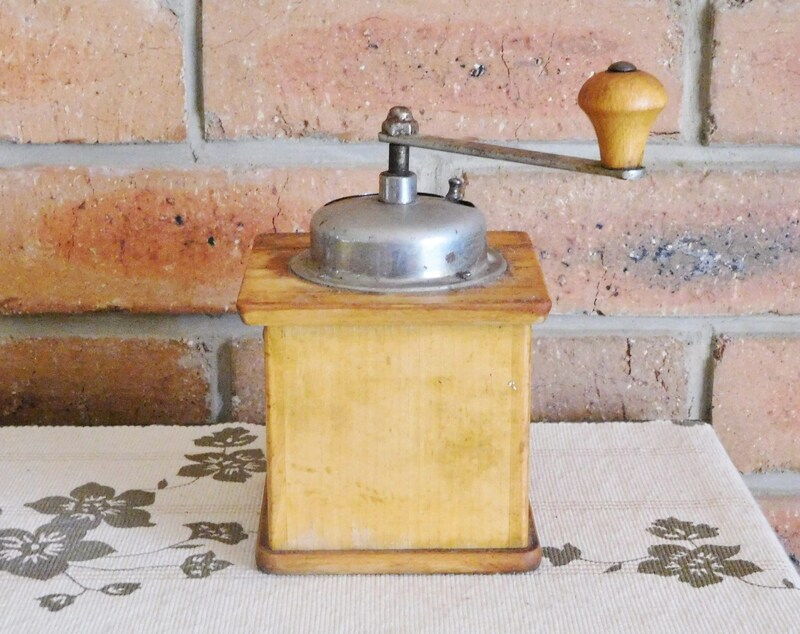 German Kym Mokka wooden coffee grinder or mill; vintage 1940s, brilliant movie prop, ideal for the discerning collector of kitchenalia. 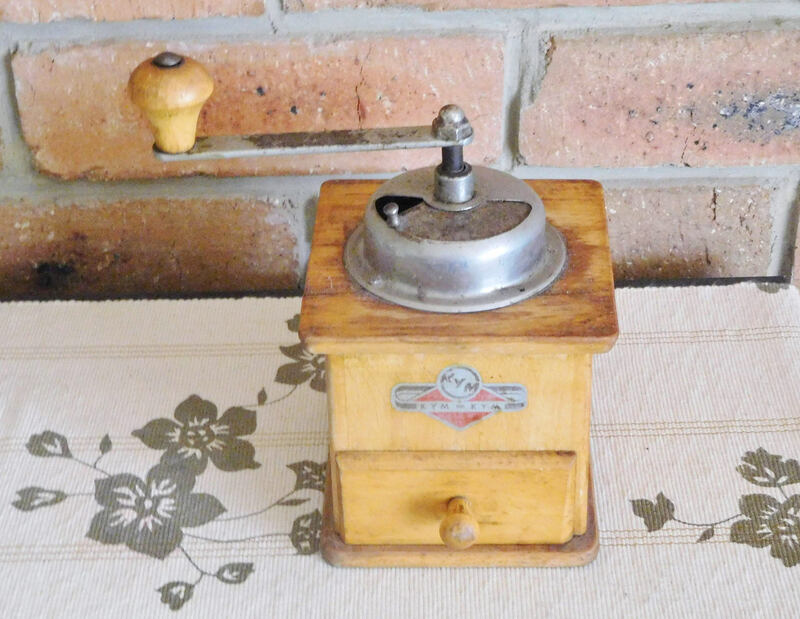 The little drawer opens and closes perfectly and the grinder works well. However, there is evidence of wear due to use and subsequent long-term storage – this can be seen in the handle, and the dome at the top, with concurrent very minor wear to a few small sections of the wooden cabinet. While clear that this beauty is not pristine, it is otherwise intact and would make a fantastic display piece.